Industry Best 5 Year Warranty! This next generation power adapter features a redesigned internal structure that passes our temperature rise test and comes with schuko ground support. Our exclusive TruAmp technology is the only one of it’s kind on the market that can meet IEC 60884-2-5 Amperage Rating / Temperature Rise standards. Another huge benefit of our exclusive TruAmp series is that it’s the only plug adapter in the industry that can deliver up to 20 Amps of power. 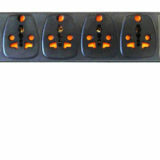 All old generic generation plug adapters can only produce a maximum of 6 Amps. 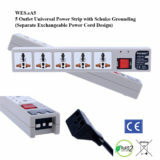 This series also supports Schuko / Euro grounding. 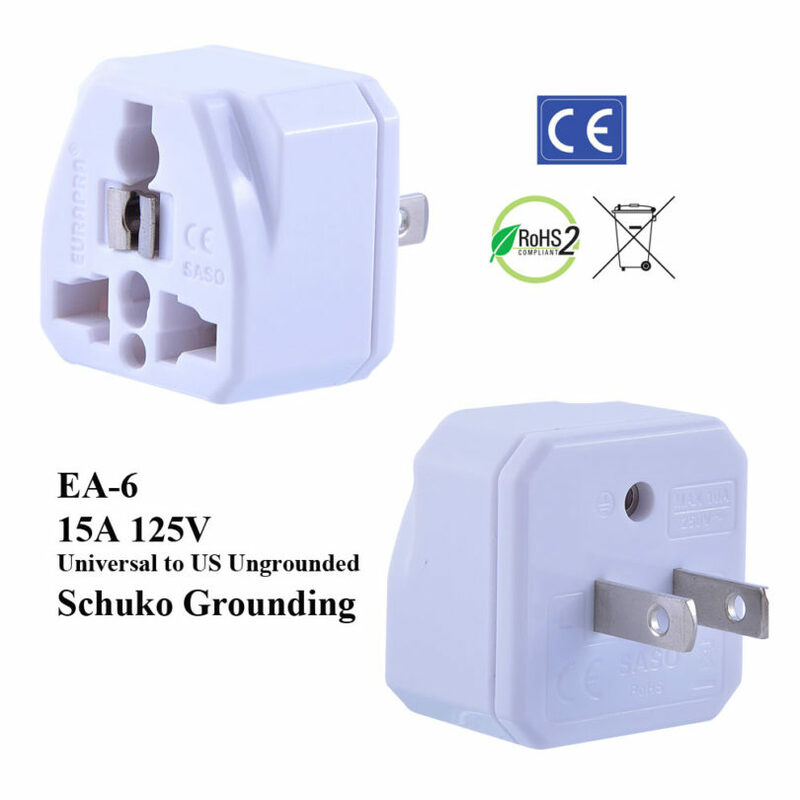 It’s the only universal plug adapter of it’s kind that won’t loose schuko ground. We use the most creative Slide-IN safety shutters to reduce EAS size to half of what it used to be. The EuroPlugs TruAmp plug adapter series is the highest quality product in the market. There is no competition. It’s extremely fire resistant and is absolutely UNBREAKABLE. This technology breakthrough put an end to those watered down products that have flooded the market. 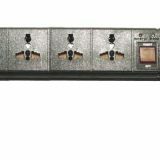 Did we also mention that the TruAmp technology is the first innovation in this industry in over 25 years? – American Samoa – Anguilla – Antigua – Aruba – Azores – Bahamas – Barbados – Bermuda – Bolivia – Brazil – Cambodia – Canada – Cayman Islands – China, People’s Rep. of – Colombia – Costa Rica – Cuba – Dominican Republic – Ecuador – El Salvador – Guam – Guatemala – Guyana – Haiti – Honduras – Jamaica – Japan – Laos – Liberia – Maldives – Mexico – Micronesia (Federal States of) – Montserrat (Leeward Is.) – Netherlands Antilles – Nicaragua – Niger – Okinawa – Palmyra Atoll – Panama – Peru – Philippines – Puerto Rico – St. Vincent (Windward Is.) – Saudi Arabia – Tahiti – Taiwan – Thailand – Trinidad & Tobago – US (125V NEMA 5) – Venezuela – Vietnam – Virgin Islands – Yemen, Rep. of To learn more about compatible countries please visit our power adapter country chart page. You have nothing to lose by giving our power adapters a try because we are currently offering an industry best 5 year warranty on all our products. This is the white colored model of our EA-6 plug adapter. We offer a black version as well. We care about our customers and want to offer you the best shopping experience possible. We own our own factory and always have product in stock. To place your order give us a call at 480-298-0924 or click the add to cart button above.